A chaotic and tense scene unfolded just after Air Force One touched down in Hangzhou, China, where U.S. and global leaders are gathered to discuss the world economy, promote growth and curb carbon emissions. Obama’s customary exit from the plane came not from the usual door high on the fuselage, but instead from a lower portal. It seems there were no higher stairs available to roll up to the usual door. The incident seemed to be part of a tug-of-war between the country’s advance teams, which flared further over who would have the final say about where the U.S. press could be stationed during Obama’s movements within the country. 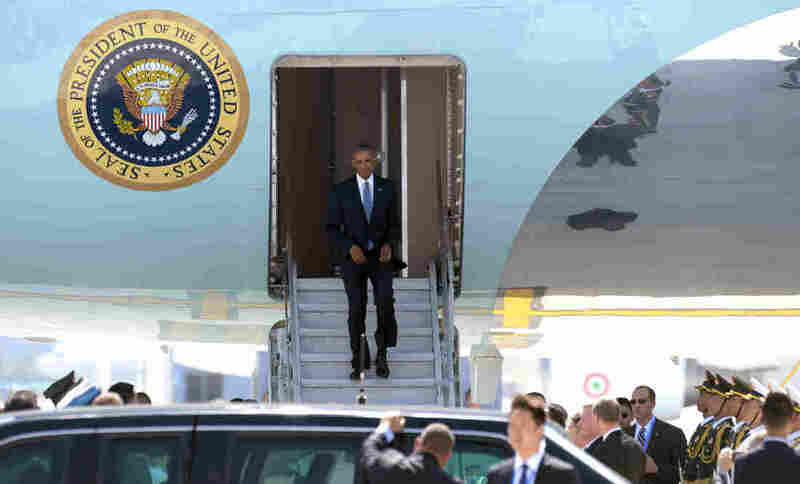 According to media pool reports, filed by correspondents traveling with the president, a confrontation between White House staff and a member of the Chinese delegation devolved into a shouting match over where reporters traveling with Obama could stand as he was exiting Air Force One. The Chinese, according to report, had set up a blue rope line under the wing of the plane. A Chinese official demanded the pool, which apparently was already in position behind the rope, to actually leave the arrival scene entirely. And that’s when an unnamed U.S. official stepped in. Luckily, that kerfuffle ended without much incident and the president’s motorcade was moving within a few minutes. Or perhaps, that was just the end of round one. In a subsequent pool report, there were details of yet another verbal altercation, and a scene where two Chinese officials almost came to fisticuffs with one another. It took place at a security checkpoint at Westlake Statehouse, ahead of President Obama’s arrival. The report says American advance teams including White House staff, protocol officers and Secret Service agents, attempting to enter separately from the traveling press, engaged in “heated arguments” with Chinese officials for about 15 minutes. “U.S. officials could be heard arguing in Chinese with Chinese security officials over how many Americans could be allowed to go through security at a time. How many people the White House were allowed to be in building before the president’s arrival. Which U.S. officials were on which list in a folder with a thick pile of name lists. “As the disagreement escalated, a chinese official assisting the Americans grew angered by how guards were treating the white house staff and began yelling, nearly coming to blows with one of the chinese security officials. “You don’t push people. No one gave you the right to touch or push anyone around,” he yelled in Chinese at one of the Chinese security officials. Another Chinese official trying to help U.S. officials stepped between the two who were arguing once the security official began approaching, looking like he was going to throw a punch. “Calm down please. Calm down,” pleaded a White House official. Despite the turbulence, Obama and his Chinese counterpart, Xi Jinping, managed to announce that both nations will formally commit to the declarations of last year’s Paris climate agreement to reduce greenhouse gases. Donald Trump campaigned in Detroit Saturday as part of his effort to gain support from African-American voters, who so far have shown low levels of support. Black Star News‘ Milton Allimadi, author Valeria Luiselli, Syrian refugee Asmaa Albukaie, and activist Chih Wu Chang are all immigrants. They discuss U.S. foreign policy and life in the U.S. There will be no criminal charges brought against a former South Carolina sheriff’s deputy at the center of a controversial classroom altercation that included the officer flipping a female student’s desk backwards and tossing her across the classroom. As you may recall from our reporting last October, the incident, involving Benjamin Fields who is white and at the time a school resource officer at Spring Valley High School in Columbia, S.C., was called into a classroom where a student, who is black, was said to be causing a disturbance. Several students in the classroom at the time recorded the confrontation and posted the videos on social media, where they went viral and sparked widespread outrage. Fields was fired a few days after the incident. The solicitor’s report shed more light on how the events in the classroom unfolded on the morning of the incident. During a morning Algebra I class, the unnamed student involved in the confrontation was told by her teacher to put away a cellphone and to log off her personal email during class. The student was then asked several times to leave the classroom. When she refused, then-officer Fields was summoned, according to the report. Fields arrived to the classroom and asked the student to come with him. The report states Fields gave “several more verbal directives” before informing the student “she was under arrest for disturbing school and attempted to place her under arrest.” That according to the report, is when the altercation unfolded and portions of it were later uploaded to the Internet. Johnson, the solicitor spoke with 15 witnesses, Fields, who provided a statement through his attorney, the student involved in the confrontation and the student’s guardian. After 25 years of teaching at the same high school in Colorado, Rick Young won’t return this year. He’s not alone, about 20 percent of experienced teachers quit every year. 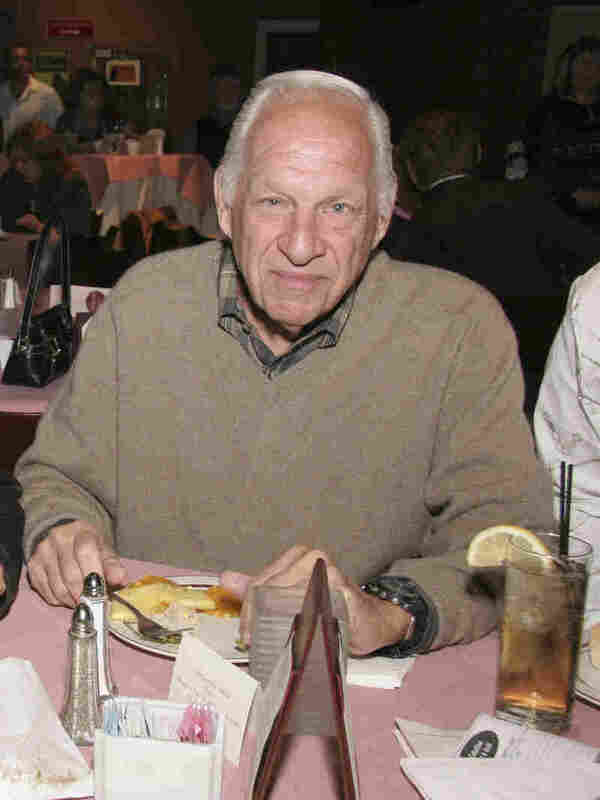 His career in the music business ranged from Elton John to Eazy-E: Jerry Heller, who co-founded Ruthless Records alongside rapper Eric Wright (better known as Eazy-E), has died, according to multiple media outlets and family members. In the recent film Straight Outta Compton, Heller was portrayed by Paul Giamatti. Heller was 75; his death was widely reported Saturday and confirmed to both the AP and Billboard by his cousin, Gary Ballen. Music site DJ Booth says Heller’s nephew also announced his uncle’s death online. Billboard lists the cause of death as a heart attack; TMZ says Heller was driving when he suffered a “medical emergency” Friday. A native of Shaker Heights in Cleveland, Ohio, Heller worked for years as an agent, promoter and manager, working with U.S. and British rock stars that ranged from Marvin Gaye to Pink Floyd. But his name is deeply linked to West Coast rap, and particularly to the rise and contentious breakup of N.W.A, the group that included Eazy-E and stars Dr. Dre and Ice Cube. After the group broke up, Heller was demonized by former N.W.A members — particularly Ice Cube — who accused him of skimming money and working only on his own and Eazy-E’s behalf. In 1987, Heller was in his mid-40s when he and Eric Wright, 22, who was then in the process of changing his life from that of a drug dealer to a musician — founded Ruthless Records. One year later, the label released N.W.A’s seminal album, Straight Outta Compton. Donald Trump’s visit to an African American church in Detroit brought both cheers and protests Saturday — but one of the star attractions was a taco truck. One of the humble vehicles, which now straddle the worlds of political symbol and internet meme, was parked outside. 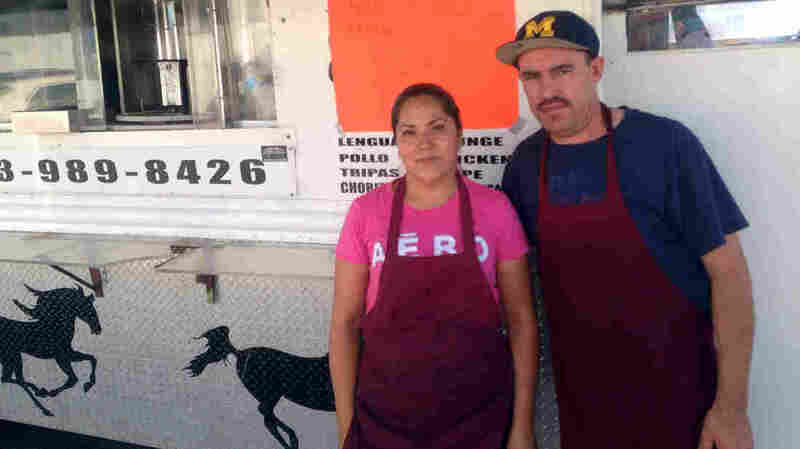 The Tacos El Caballo truck set up near Great Faith Ministries International to provide a counterpoint to critics of U.S. immigration policy, its owners told Michigan Public Radio’s Rick Pluta. Nancy Paz, who immigrated from Mexico, tells Pluta that she parked her family’s taco truck near the church Trump visited on Detroit’s west side Saturday in the hope that the Republican presidential candidate might glimpse it on his way in. The truck did brisk business this morning — so much so that a form of surge pricing kicked in, raising the price for a steak, pork, or chicken taco from $1.50 to $2.50, Pluta reports. Inside the church, Trump delivered a short speech that mentioned discrimination and the marginalization of young black men; he also stressed the importance of family, speaking to a packed house that normally holds around 2,000 people. Separately, Trump also spoke to Bishop Wayne T. Jackson, pastor of Great Faith Ministries, for an interview on Jackson’s Impact television network. That audacious statement set off discussions on Twitter and elsewhere about a vision of the future that seems like a dream to some, and is [purportedly] a nightmare to others. Now that Trump’s back from Mexico, what will Hillary do to reclaim the spotlight.